Now that the temperatures are beginning to rise around the country, families are beginning to dream of taking fun and relaxing summer vacations. For generations, people have chosen Maine as a great place to visit, with it’s gorgeous natural landscape and quaint, friendly atmosphere. To call summers in Bath, Maine pleasant would be a total understatement, and Travelers Inn is right in the middle of the action. 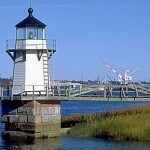 In past blog posts, we’ve discussed a variety of popular Bath, Maine and nearby destinations. These include Bath Iron Works, where some of the finest ships in U.S. Naval History have been born, Reid State Park, a nearby natural treasure, and exhilarating whale watching that you’ll never forget. Traveler’s Inn is just a few minutes’ drive away from each. While Bath has been consistently recognized as one of the finest small cities in the country, it really blossoms in the summer months. While it retains the charming, slow pace and relaxing atmosphere, local shopping and restaurants are at their best as the sidewalks fill up with wandering foot traffic. Nearby Bowdoin College begins their series of outdoor summer concerts, and locally inspired festivals seem to pop up on the calendar every weekend. While anyone could find themselves enchanted by Bath, Maine, those who are attracted to the water will be in total heaven. Traveler’s Inn is minutes away from the Atlantic coast, where watersports abound and Ferryboats hop from island to island. Those who are interested in maritime history will be particularly drawn in by the fact that much of it has taken place in this very place. If you’re interested in experiencing a summer vacation in a true treasure of the Northeast, visit the Traveler’s Inn website today to make a reservation today.